In this blog post, Laurie, Community Manager of World Wellness Weekend, will give you her opinion about what kind of benefits cooking can bring to your everyday life. Could cooking be part of the solution to a mindful, happier life? The choices we make in what we eat tend to say something about us. For example, becoming a vegetarian or a vegan is usually not just a diet dictated by taste, but a commitment to a cause, whether personal, ecological or ethical. And once someone makes this decision, people tend to identify this diet with a community of people who follow the same diet and go to the same restaurants, grocery stores, etc. Food plays a crucial role in our identity as part of a community. It’s fascinating to see how some groups of migrants tend to retain food habits through generations when language or other cultural expressions are forgotten. Between 1870 and 1920, millions of Italians migrated to the US and brought their regional cooking differences with them. They soon found out they were living amongst immigrants from all different regions of Italy. Their culinary influences began to blend together and adapt to the American diet. Little by little, the revolution of Italian-American cuisine was born, bringing together those cultures and adapting some of the most popular Italian recipes. 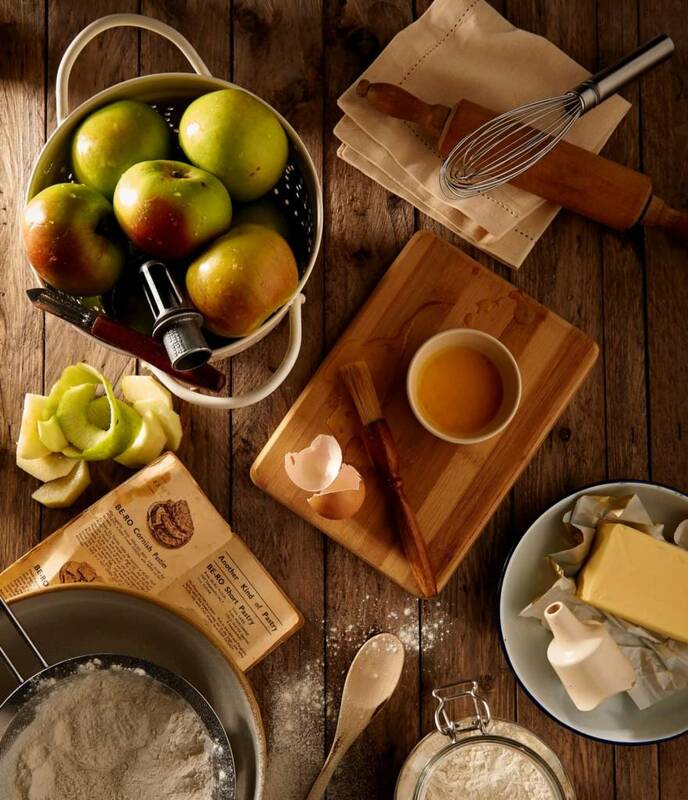 Cooking is one of those daily creative activities that allows us to escape from a stressful life. When you cook without thinking too much about your problems, it becomes a wonderful occasion to be present, mindful and aware. I know many people who have trouble finding the motivation to cook for themselves, and I can understand: cooking for one is not as much fun as cooking for your family and friends! But sometimes, when you don’t feel like going out and your friends are busy, it can be so rewarding to just cook and think of nothing other than what you are doing and how delicious it will taste later (even if it’s not that good, you will usually appreciate it anyway). This feeling is even more accurate when you repeat a recipe you’ve made multiple times before: you make everything without following a recipe, enjoying every moment. Cooking can also make you feel better when you are in a bad place. John Whaite, the baker who won “The Great British Bake Off” in 2012, later said that baking had helped him deal with his manic depression. Cooking is not only good for the mind, but it can also do good for the body, both short and long term. Michael Pollan, the American journalist and author, says home cooking has been in decline since the 1960s. And he thinks it is no coincidence that as rates of home cooking declined, rates of obesity rose. Nowadays, we tend to rely on corporations that transform the food we buy in the supermarket. These corporations use vast amounts of salt, fat, and sugar, which can prove very addictive when layered properly. But when you cook a meal from scratch, you are given every opportunity to eat less salt, fat, and sugar, and you end up knowing exactly what’s on your plate and going into your body. Cooking on your own is awesome (I’m a fan if you’ve haven’t noticed). Baking is also one of my favorite pastimes. What’s great about baking is that you can give a piece oh what you are baking to those around you (flatmates, colleagues, friends, family), and it also makes the kitchen smell great! But cooking can also be a fun activity to do with others. You can cook with your best friend and share recipes and skills, divide tasks, and, of course, eat afterward. You can also cook with strangers! It may sound weird, but this is on my to-do list every time I travel. I think it is a great way to connect with local people, because you really learn how to use those ingredients you see in the markets and streets. You also get the opportunity to talk with passionate cooks who each have a personal story to share. Depending on what you buy and where you go, the money you spend to buy groceries is nothing compared to the amount you could spend eating out or buying packaged meals. There’s been a reversal in food patterns in the US for the last few years. We now tend to spend more on food at restaurants than on groceries in supermarkets. One article states that the amount spent on food outside the home has risen from about 26% in 1970 to 43% in 2012. What’s more, cooking helps you attain qualities like confidence, creativity, good planning and organizational skills, and much more. What are you waiting for? It feels so GOOD to be WELL!